How do you escape this vicious cycle? There are two ways, actually. The first (most obvious) way to remove yourself from this hedonic treadmill is to deliberately reduce your spending so that it's below the level needed to maintain your lifestyle. 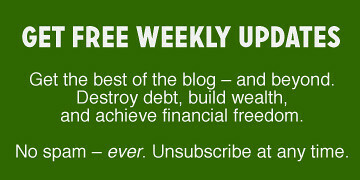 As I've argued before at Get Rich Slowly, frugality buys freedom. When you reduce your lifestyle, it takes less time to fund it. If you're earning $50,000 per year take-home and spending all $50,000, you leave no margin for error. If something goes wrong — you lose your job, inflation skyrockets — you're in a bind. Plus, you don't give yourself a chance to seize unexpected opportunities! But if you reduce your spending to $40,000 per year, you give yourself options. You can choose to continue earning $50,000 and bank the difference (building a store of time) or you can choose to work less today (taking the advantage of the time savings immediately). Spending less also helps fund your future. Learning to live with a “lesser” lifestyle means you don't need to save as much for retirement. If you spend $50,000 per year, for example, then you need roughly $1.25 million saved before you can retire. But if you decrease spending to $40,000 per year, your target drops to around $1 million. It takes much less work to fund an ongoing lifestyle of $40,000 per year than it does to maintain a lifestyle that costs $50,000 per year. And if you're in the fortunate position where you can slash your lifestyle from, say, $120,000 per year to $30,000 per year, you can really reduce the time you spend working. But what if you like your lifestyle and don't want to cut back? Or what if you're not able to cut back? There's still a way to use the relationship between time and money to increase your sense of well-being. Last year, the Proceedings of the National Academy of Sciences journal published an interesting article that declared buying time promotes happiness. The authors conducted a series of experimental studies to look at the link between time, money, and happiness. Their conclusion? Around the world, increases in wealth have produced an unintended consequence: a rising sense of time scarcity. We provide evidence that using money to buy time can provide a buffer against this time famine, thereby promoting happiness. Using large, diverse samples…we show that individuals who spend money on time-saving services report greater life satisfaction. A field experiment provides causal evidence that working adults report greater happiness after spending money on a timesaving purchase than on a material purchase. Together, these results suggest that using money to buy time can protect people from the detrimental effects of time pressure on life satisfaction. If you want to improve your quality of life, don't use your money to buy Stuff, use it to relieve “time pressure”. Instead of buying a fancy car, purchase time-saving devices. Hire a housekeeper or a yard-maintenance company. Maybe consider a meal-delivery service. Interestingly, the effects of “buying time” have the greatest impact on folks who have less money: “We observed a stronger relationship between buying time and life satisfaction among less-affluent individuals,” the authors write. My biggest takeaway from thinking about the relationship between time and money is this: When you spend less, you can work less. In a very real way, frugality buys time. But on a deeper level, frugality buys freedom — financial freedom, freedom from worry, freedom to spend your time however you choose. When you treat time as money (and money as time), you can better evaluate how to allocate your dollars and your hours. When you know how much your time is worth, you can decide when it makes sense to “outsource” specific jobs. Ultimately, there's a balance to be had, and that balance is different for each of us. You have to decide how much time you're willing to spend on present comfort and how much time you want to bank for the future. I believe there's no single right answer to this dilemma. What about you? How do you view the relationship between time, money, and happiness? Do you have some examples from your own life of buying time in order to improve your happiness? What balance have you arrived at — and how did you get there? There are 31 reader responses to "The relationship between time, money, and happiness". This is exactly what people miss! It’s not about money necessarily, it’s about time and freedom. I was having an interesting conversation last night, semi-related, about how there’s research showing that people perceive time more slowly if they have more variety in their life. If perception is reality, then that means you can, in a way, make your “life” longer by bringing more variety into your day to day activities. This can be pretty hard to do if you are working long hours. Therefore, as you say, frugality leads to more time freedom. More time freedom means you can set up your life the way you want. Use this to add variety, and your perception of time slows down as well! That’s a lot more life to live! Great stuff JD, I agree, finding the balance is key. Most of us work hard hard now and think that we can sacrifice our time now so we can have better life later on. But I don’t want to look back 20 years later and realize all I’ve done with my time was work! I don’t know if there is any money challenge that’s more difficult than finding that balance between time, money and stuff. We can all go live in the woods and retire today. Most of us would not be happier doing so. Hiring a cleaning person would set me back on my path to FIRE. But if I do, my house would be cleaner than ever and I’d have that time back to do what I want today. Maybe it’s worth working for an extra three months to never have to clean again. Making the decisions may be hard but they are much easier once you really lay out and understand the costs and benefits of every choice. I have always regarded money as a claim on labor, which is essentially the same thing, however by framing it as a claim on time perhaps that allows us to refocus on how we use our time, rather than on how we live on passive income. My main concern with the Fire community is that it is difficult for people to let go and give accumulating money, in order to enjoy the time we actually have. I fear that saving money could in itself become an addiction that devours our lives. It would be good to see how many people have made that leap, even if it is to work part time. I myself keep wanting to accumulate a little more money even though I know that to spend that money on ‘things’ is probably destroying the world I live in. Simplicity is also time. Indeed! My parents lived like paupers until the day they died (both >90 years old). Drove us crazy. They talked about going to Alaska, or having a new house built. But they never did. They had so many assets (more than $1M), they had to spend it away on assisted living an skilled nursing care. Left us 5 kids about 90K to divvy up. I wish they had spent it on the adventures they dreamed of. But they always thought they needed a little more. I blame it on the trauma of the great depression and WWII rationing. Dear Mary… Did you spend a moment thinking past your statement? They saved $1M and had that to spend for their assisted living and care. What if they had spent that $1M on homes and cars and travel? Then YOU would be paying for their assisted living. You were left with $90K originally, but in this case you would have the debt of their estate “given” to you (health care debt is now part of their estate). You could have had them live with you at the end of their lives and relieved them of the burden of the cost of their last days. You can’t have it both ways…. James, you speak from my soul. I feel as though Mary Jones is the type of person we despise because they allowed their parents, whom spent an entire lifetime saving, to slowly die in a nursing home so that she could not be inconvenienced by her parents. I believe that we should take care of those whom cared for us…and that is not something the rich can be inconvenienced with. I buy time frequently, & it’s one of the main reasons I could never do that FIRE stuff. For example, I pay for food delivery after work bec. I hate to cook & don’t want to spend time doing that when I could be writing (my passion) or spending time w/family (my loves). I don’t buy a lot of things, I don’t have any debt, but I’m desperately short on time bec. my job, my family, & my hobbies make demands of me, so I’ll gladly use money to buy me more time NOW when I need it, not some mythical future that I can’t appreciate. In my opinion money is a tool. Time and enjoying it is a goal. Money is just a tool to facilitate that goal, and not even always correlated with it. Money is a renewable resource. Time is not! Time can be extended by living a healthy life style and enjoying happiness. I think the money problem is partially cultural. We have a culture that doesn’t pass on virtues like prudence, and we see that in how people interact with money. In many ways wealth is like being thin or well educated: it takes a sacrifice today to invest in your future and in each immediate present that can be a difficult decision to make, even if you have a solid philosiphical structure. If you don’t have that structure you have even more difficult. I’m in the spend less camp. Now I have more control of my time. Buying time seems very inefficient to me. Labor is too expensive here in the US. Buying time in cheaper countries is much more affordable. I’d like to try that someday. Love it, great post! It sounds so basic but you have to catch yourself as your brain seems to be wired differently based on the inputs received over its lifetime. Awesome post JD. I’m currently working towards selling my second home, taking the profits made and moving back into my original home, which I have been renting out for the better part of 5 years. This will drastically reduce my living expenses(I will literaly only have my mortgage and basic necessities like food utilities and insurance) to the point where I can actually quit my job and work full time on my website. The satisfaction and hapiness that this brings me is far more than anything I have felt from getting paid 6 figures at the job I have now. I am literally quitting a job most would kill to have so I can spend more time growing my website, providing excellent advice to those who need it, and living life on my own schedule. Great post about a very important topic JD! Hershfield, Mogilner & Barnea, People Who Choose Time Over Money Are Happier, http://journals.sagepub.com/doi/abs/10.1177/1948550616649239 (first published 5/25/2016). Couldn’t agree more. It is unfortunate how many people work themselves to extremes for an endless cycle of worry and more stuff. The only way to really get out of it is to find a point of contentment, knowing that more is not always better. Some interesting posts. I am living proof of what you say. Am 88, retired at 59 to better care for my wife (now married 67 yrs.) and family. Walked away from a lot of money by retiring early but have had a very meaningful life. Took much lower pension and stock options by retiring early but have gotten along just fine, with even second home until recently. Have had a rewarding retirement with growing family, serving church and non-profits. Happiness is much more important than even time. It is great to have both time and money now, which we won’t have when the Lord calls us Home. Good article JD. It’s very pertinent for our time and I am in full agreement with you. I spent my whole life living below my means so I could afford to “buy back my time”. I passed up buying the latest trendy stuff and always tried to buy quality made things that I needed and things that would appreciate instead of depreciating in value. I accomplished my goal at 55 and retired early. It is a wonderful feeling. Anyone that wants to experience a high degree of personal freedom and happiness should try it. I’ve just moved, and looking through those piles of Stuff I see a lot of reminders of the path history took to get here. Over time a lot of these silver linings have tarnished in their clouds, other good ideas were given up on for entirely small-minded reasons – and some Stuff just turned out to hold false promises of saving you time, like a dedicated video tape rewinder. Today if an executive tried to help out their employees or refuse a bonus, it’d be against the company line, people would argue the benefits went to illegal labor, and shareholders would force the Board to remove the free thinker. 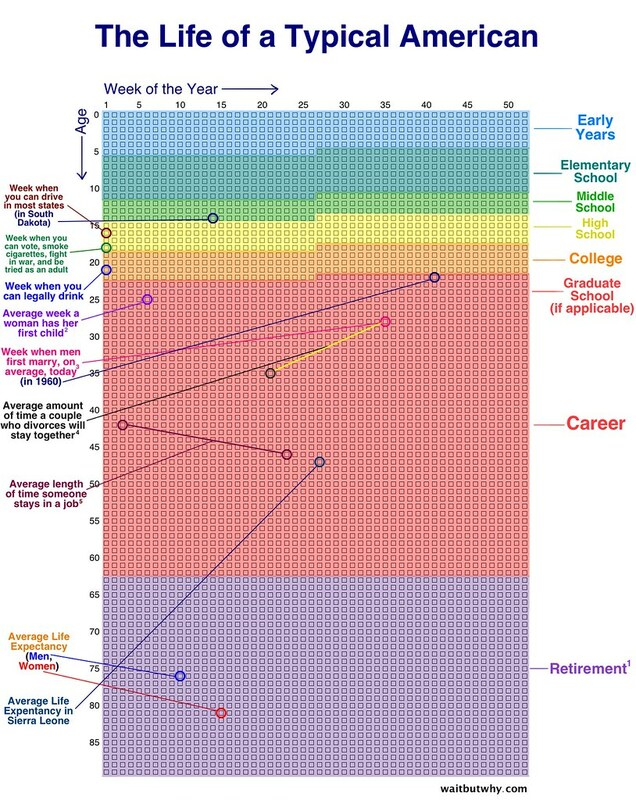 A lot of articles on time and life management focus on the “micro” you can do with what you’ve been given – which is great. But I think it’s worth some of our precious time to engage politically to try and find ways to turn the apple cart around, too. I feel that (and there’s mountains of evidence) much of the problem goes through the entire system. Wealth inequality, short-sighted deals by local and state governments to please influential economic players, and mountains of advertising to overcome our indifference with what’s old – just to name a few likely culprits in the theme of bad macro planning and time management. Such truth in this post, and I know it to be true. We had to sell our large paid-off house after my husband’s industry shifted to China and his business failed, because we no longer had enough income to pay our ever-increasing property taxes. We moved to a more affordable town, bought a much smaller house and downsized our lives. That was over ten years ago. The amount of free time we have now is worth so much to us! We only work part-time and our modest bills are covered. We didn’t want to wait until we were old to enjoy having enough time to do what we want. Kudos to you for emphasizing the joy of freedom. Before I retired a couple of years ago I attended a series of classes on retirement. It was useful but only to the point of confirming my plans and knowledge on several subjects. One exercise was a survey that included a question about why you want to retire? Of course the #1 answer was “so I have time to do what I want”. And the answers to “what do you want to do” consisted of the typical standards: more time with grand kids, volunteering, reading, fishing, golf, etc. First year I tried most things that I had interest in but nothing connected. Then most of the second year I spent a lot of time discovering my soul and who I really was and who I had become. Never had much time to think about these things before. It has been a very time consuming process for me but extremely rewarding with a very positive outcome! I share this because more “time” may not in itself be a wonderful experience. You may think you know how to spend more time but it may not work out. The time/money issue can only solved based on how well you know you-and for me that took a lot of time that was priceless! I was well on my way to a very early retirement until I got married and had a kid. Now I have to scrimp and budget whether I want to or not. Because time is linear & finite, time is more valuable than money. It’s hard to see that as a healthy young person, but the older you get, the more clearly I see it. I’m very aware of trying to not waste time because of my mother who has Alzheimer’s. She no longer knows who I am. She can’t remember who I am. I think of all those hours she frittered away, playing solitaire, or some other “time killer” activity and my heart breaks. Those were opportunities to do a thousand things other than just throw time into the trash-heap of personal history. In my head it almost doesn’t matter what she could of done, just SOMETHING. But the time is money paradigm can also get out of hand. When I worked as a self-employed consultant, paid an hourly amount as a hired-gun, I started to view everything I did as costing me money. If I waited in line at a restaurant, those minutes were minutes I wasn’t working, and thus the restaurant was costing me money to eat there, & not just for the food. I started to eliminate everything that took time. Vacations? Leisure time? Leisure cost me. Every minute I wasn’t working was costing me. A recent brush with death has also made me appreciate time more starkly. Not the stress-inducing must-be-working-or-I’m-losing-money appreciation of time, but the realization that there is no tomorrow. Literally. For me there wasn’t. I’ve always done things, many things, because I can. I still do, but they’re much more poignant now. Tear-making, sentimental poignant. I never thought I’d be able to walk again, let alone push a lawn mower, & now mowing the lawn is a joy. Stuff that others barely notice, like their kids participation in a sports activity, or a get-together with friends or family, for me is the rarest, most precious moment ever. I always believe that money is a tool for us to use in achieving our goals. Having time to enjoy life is one of those goals. When we are making money, we need balance with time for ourselves . Although, with enough money, we can buy some time but money cannot buy all forms of time with maximum benefits. Finding a balance between time/money/happiness is very important. As you said, time is finite while money is not. We should enjoy life more than money. Money for me is just a a tool to help us live the life we want. This is exactly the reason I started on the path to financial independence and early retirement. They have a lottery for money, but they don’t have one for time. Therefore time is far, far more valuable and once it’s gone it really is game over. The best way to enjoy your finite time on earth is to be doing things that bring you happiness. Most people are slaves to the 9-5 job because the W2 wages are what allows them to live. How many people would quit their job if money was no longer an issue? I would say it would be a large percentage (and kudos for the ones that wouldn’t). This means they are doing something with their time that they rather not. Becoming financially independent breaks the ties to W2 wages and you are free to explore anything you want. That is the key to happiness. The research on time scarcity is interesting! 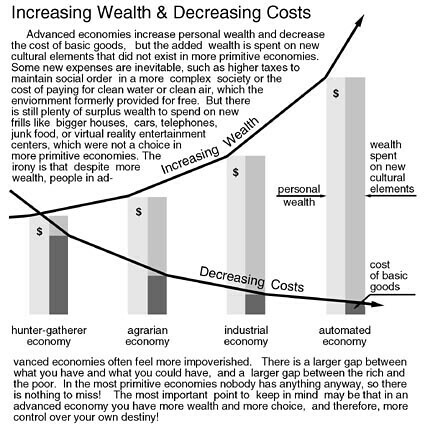 With income increasing in some countries, he number of people spending money to save time will only increase which will then increase the income of people providing those services. I have definitely felt some of the best money I’ve ever spent was paying to reduce my time doing something. Not all labor either – using a travel agent to schedule a trip recently was an amazing experience too! Buying time appears at first glance as the opposite of frugal. For those of us that have achieved FI, it makes sense to consider spending on housekeeping or a gardener. But it is so hard to change the patterns of frugality that got us to this point financially. And as we age, we start thinking of going full time in an RV to simplify even more and reduce those types of tasks, while maximizing experiences.